Do you want a bobble? 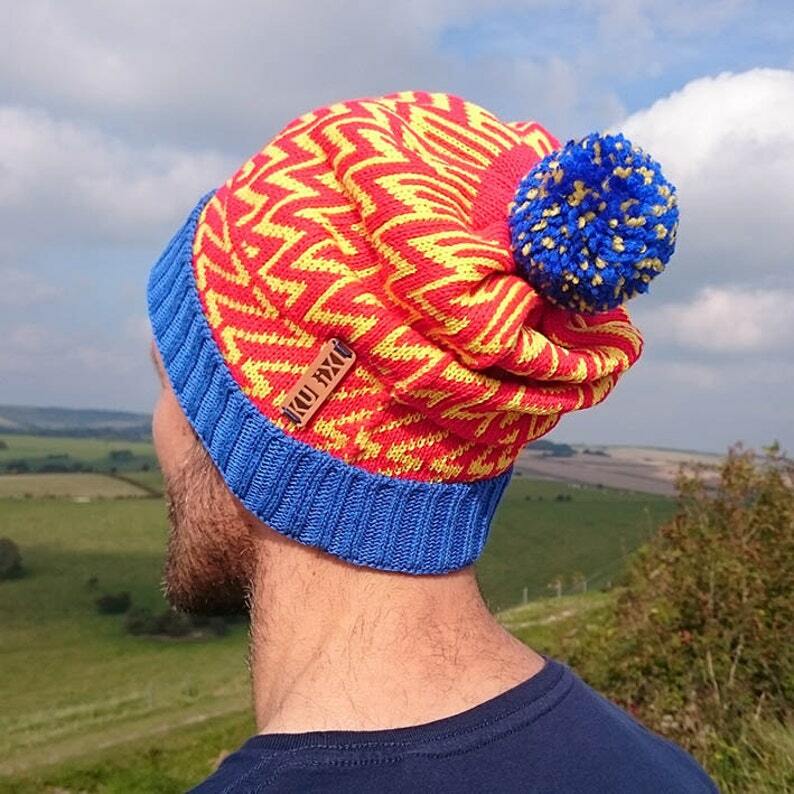 Kubixl design crazy colourful bobble hats with super perky bobble! Each hat is machine knitted in one of our jacquard designs. The fold up of the hat is knitted in a 2x2 rib and the body a ladder back jacquard. Our hats are finished with a leather embossed branding tag and individually handmade bobble. You can also purchase our hats without the bobble. DESIGNED, MADE AND HAND FINISHED IN BRITAIN. Recipient LOVES the hat. Nothing but good words to say. Thank you! We accept payment via Paypal and Debit and Credit Cards. Refunds will be given to products that are returned unused and still in original packaging. Refunds will be made by the method of payment used to purchase. Returns postage is paid by the buyer. Item must be returned within 10 days of delivery. All products are despatched within 3 working days by Royal Mail. We ship products world wide.